We have a range of bicycles of different sizes at your disposal. Perfect to ride the circular route around the beautiful Lac des Settons. This 9 miles circular trail around the lake is suitable for riders of all abilities. Take your time to appreciate the landscape and cycle at your own rythm. Allow between 1h30 to 3h00, depending on how often you prefer to pause. 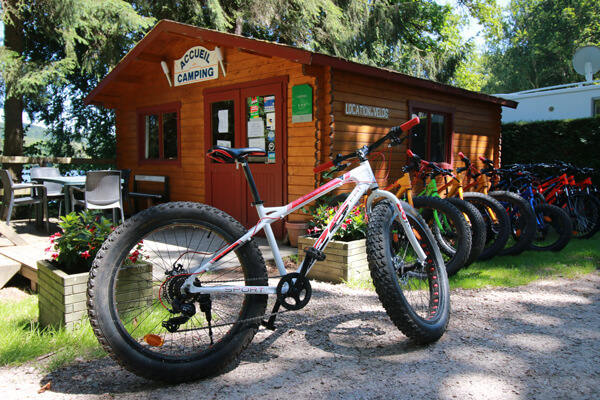 We have two types of bikes available to rent : Mountain Bikes and Fat Bike. Cycle helmets are provided with every rental. 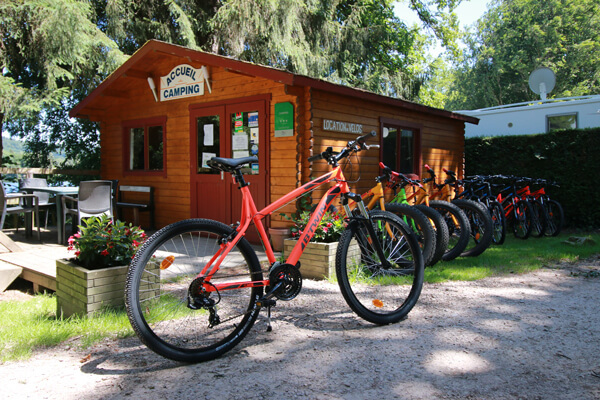 Please note that our bike rental service is exclusively reserved for our campsite and chalets guests.